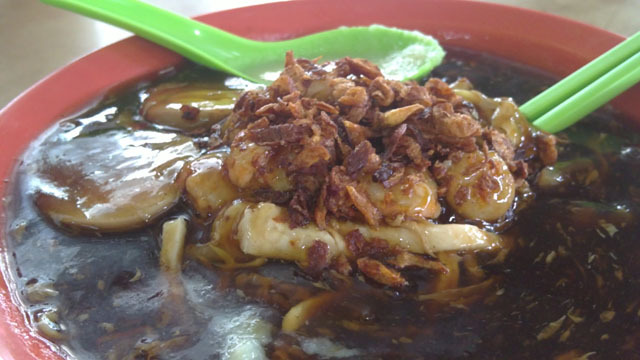 It was just after New Year 2011 & I decided to move away from the western food & go more for hawker & chinese food. Thus, I decided to try the Loh Mee at Restoran Unlimited in SS14 as previously when I came here, it finished eventhough it was only 11+am. Each time I passed by this place, it is usually quite packed & not only the prawn mee is good, I do see other food popular too like the fried kuey teow & chicken rice. I would say the loh mee meets my expectations of the thick, gluey & tasy gravy as well as the ingredients of lots of prawns & pork to go with it at RM 5 for large. A specialty of this loh mee or lam mee (not sure which is the exact word) is that it comes with a white sauce which is tastes something like vinegar with some other ingredients. Nevertheless, it blends perfectly in taste with the rest. 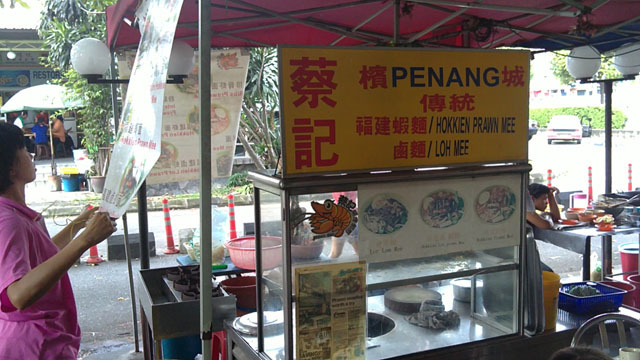 However, as I never tried this version of Loh Mee in Penang, only tried the watery clear gravy type, I am unable to compare with a true Penang Loh Mee. It would be great if someone could leave a recommendation where I could find one in Penang. I would definitely like to try the prawn mee in future since it has been highly rated even in the Star & then I can compare it with Penang. This entry was posted on Saturday, February 5th, 2011 at 12:23 pm	and is filed under Coffee Shops, Heavenly Klang Valley Food. You can follow any responses to this entry through the RSS 2.0 feed. You can leave a response, or trackback from your own site.